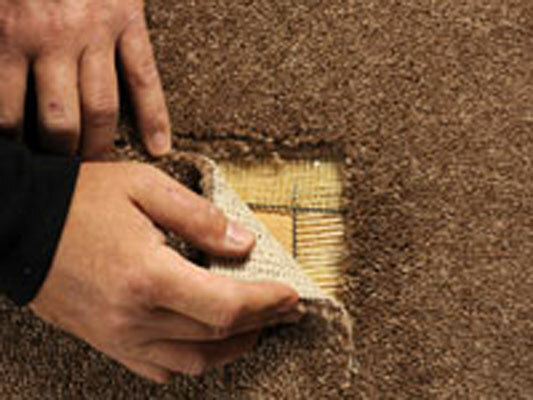 Find a piece of undamaged carpet to use as a patch. 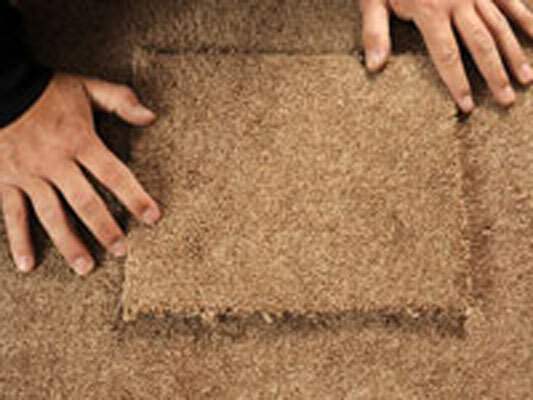 If you don’t have spare carpet, cut the patch out of an inconspicuous area, such as the back of a closet. Lay the patch over the damaged area and align any pattern. Mark the patch for cutting. You want the pattern of the patch to match the pattern of the damaged area. 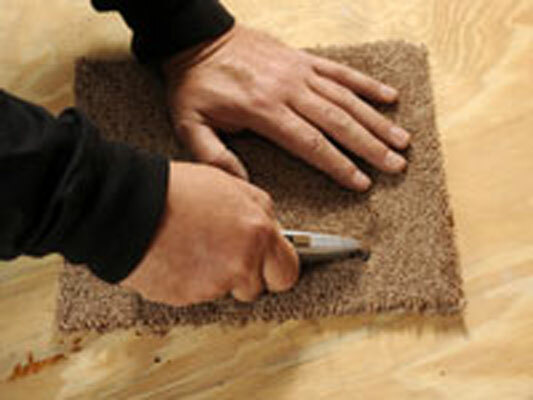 Move the patch to a surface you can cut on and use a utility knife to cut out the patch. You can use a piece of plywood as a cutting board — you don’t want to cut through more than the patch. Run the knife against a metal straightedge to get a clean seam. Tape the patch in place and cut out the damaged area. Tape the patch into place over the damaged area, and with the patch as a guide, use the utility knife to cut out the damaged part. 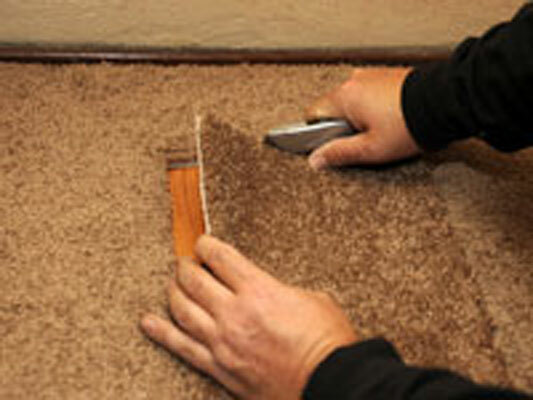 Make sure the patterns match exactly and use the metal straightedge again for a clean cut. Affix the patch to the undamaged flooring. 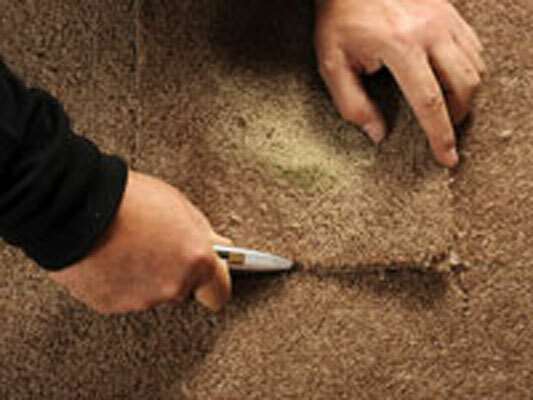 Stick double-sided carpet tape onto the floor and press the patch into place. You also can use seam adhesive to help seal the patch’s seams.